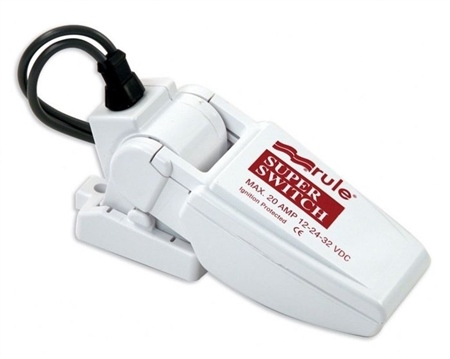 Now backed by a 5 year warranty, the non-mercury Rule Super Float Switch is designed for the toughest applications. Design includes marine grade 14 gauge “blocked wire,” larger float for increased buoyancy, removable base for easy maintenance and a snap switch design capable of handling pumps drawing up to 20 amps at 12 volt DC. For automatic on/off bilge pump control. Switch design prevents rapid on/off cycling.